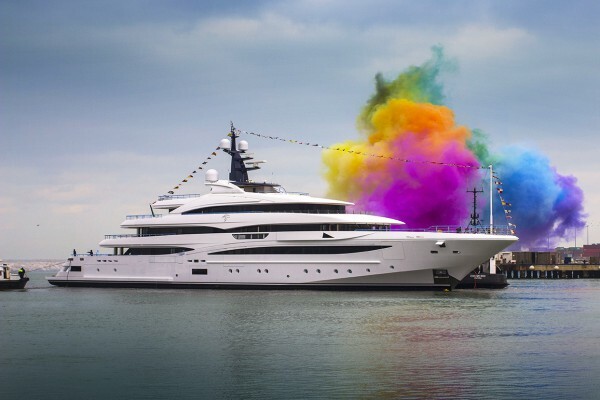 Accompanied by the owner's favourite 'Star Wars' soundtrack, the 74m custom superyacht Cloud 9 was launched on schedule – and in spectacular style – by CRN on 21 January. 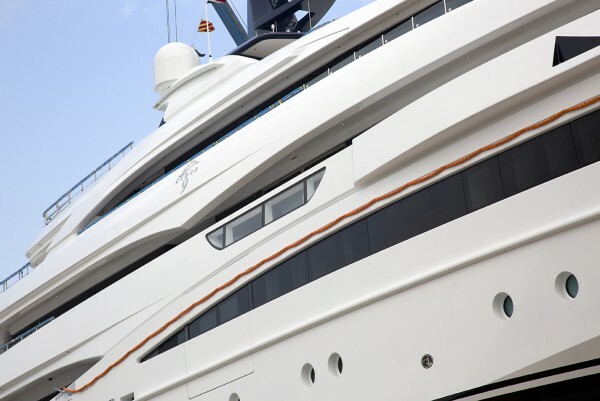 With engineering by CRN’s in-house team and exterior design by Zuccon International, hull #131 was originally commissioned by a Turkish client, who sadly passed away after construction had started. Burgess brokered the resale to an experienced Australian owner and Winch Design was brought in to develop the interior styling. 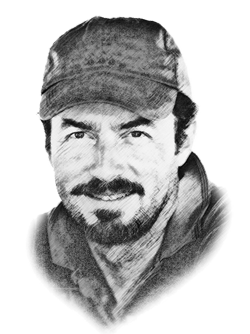 Andrew Winch also designed the owner’s previous yacht, a 60m of the same name built by CMN and sold by Burgess in 2015. 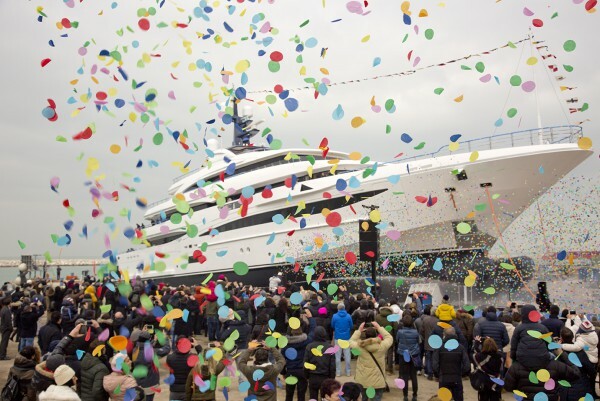 “We are really thrilled to have been involved in the construction of this extraordinary yacht, which was a new and exciting challenge for CRN,” says Alberto Galassi, CRN Chairman and CEO of the Ferretti Group. “The result is a cutting-edge yacht that perfectly combines state-of-the-art technology, astonishing design and the best CRN features.” The launch came just days after a series of tremors were felt in Ancona and during his address Galassi also spared a thought for the people of the Abruzzo region in the wake of the devastating earthquakes and recent avalanche. 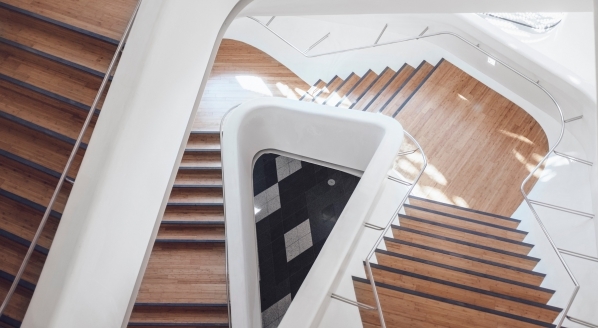 As the owner’s representative, Burgess Technical Services has been responsible for developing and agreeing the technical specifications with the owner and CRN, technical review and acceptance, project management, on-site supervision and the coordination of consultants. With five decks and a beam of 13.5m, Cloud 9 comfortably accommodates up to 16 guests (12 when chartering) in a master suite, VIP suite and six guest cabins, in addition to 22 crew members in 13 cabins, plus berths for four staff in two cabins. The yacht is powered by twin Caterpillar 3516C (2,000 kW @1600 rpm) engines, delivering a maximum speed of 16.5 knots and a cruising speed of 15 knots. Cloud 9 is due for delivery in April after completing her fitting out and sea trails. 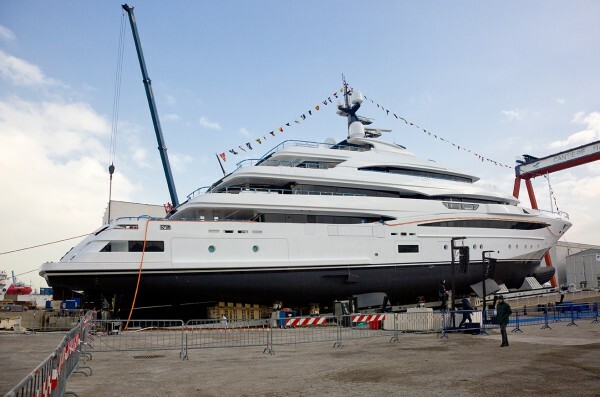 Also in build at CRN is 79m hull #135, 62m hull #137, and the new 50m Superconero. 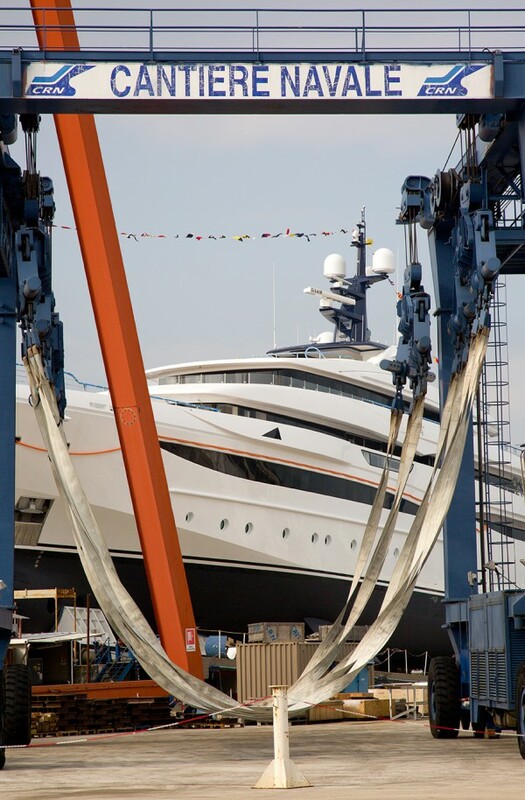 The facility in Ancona is home to the Ferretti Group’s Superyacht Division, which in addition to CRN includes the Pershing and Custom Line Navetta brands, as well as the superyacht projects in the Riva range.